In SEOs and bloggers circles it is a phenomena that google considers around 200 ranking signals to rank a site in search results. This is totally true and also announced by google. However, most of these ranking signals are less important and only a few are the main ranking factors which google considers ranking a site. So if you want to know these ranking factors then its enough to keep top 20 most important ranking factors in mind rather than focusing on all 200. In this article, I am going to explain top 20 google ranking factors which are most important in Google’s eye. As in traditional SEO including KW in the title tag of a web page is the most important ranking factor. By adding KW in the title you tell google that which keyword the page is actually targeting. If there will be no KW in title tag then google may consider your web page as irrelevant or less relevant to the keyword. A few years ago google launched EMD update which was about targeting the sites which are ranking due keyword in domain name. Google claimed that they have removed any SEO incentive which was granted due to exact match domain. However, by analyzing sites we can say that adding KW in the domain is still valuable. According to our analysis google still, ranks an old domain higher than a new domain. So it is still valuable to buy old expired domains to have old domain incentive. Using the phrase or broad match keyword in main or subheading is also a great way to make your site more relevant to keyword. Content length has become a very important on-page seo factor for sites. Now google ranks lengthy contents higher than short contents. According to a survey the idea world count on a web page to appear on top results is around 1800 words or more. By updating your site and adding more unique contents to your site frequently can force google to crawl your site regularly. This is also an important thing to consider for better seo. As far as on-page optimization is concerned site loading speed has become a very important ranking signal for google. Google prefer to rank site higher which have high loading speed. In 2016 high-quality backlinks is still the most powerful ranking factor for a site. Google still ranks a site with more links higher than a site with less links. However link quality has become more important in these days. As you know that the usage of mobile devices and smartphones has grown very rapidly. Now mostly people browse the internet from their mobile devices. Due to that google considers mobile optimization of a site as ranking signal while showing results on a mobile device. Google also considers social signals like facebook likes, twitter tweets, and other social site activities as a ranking signal while ranking a site. 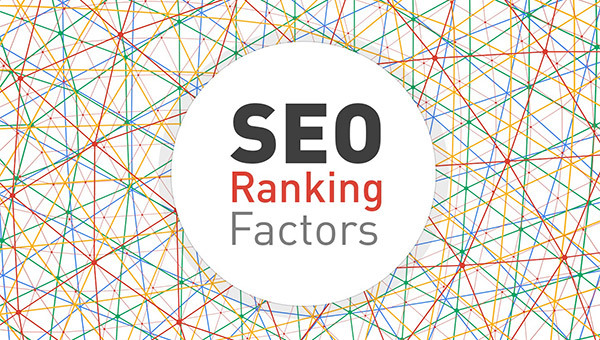 These are few of the most important ranking factors. By focusing on these ranking signals you can definitely reach top rankings without worrying about other 190 ranking signals. Author Bio: This article is published by Sara jim who is a marketing manager and internet marketing expert at seo dubai company.